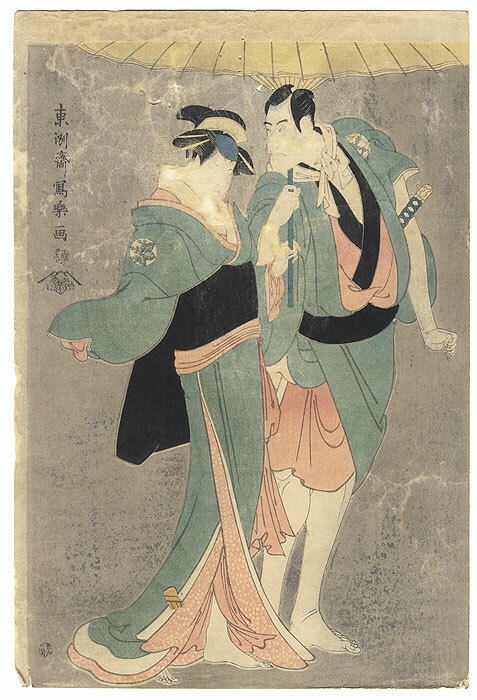 Sharaku - Not much is known about the woodblock print artist Toshusai Sharaku, who specialized in kabuki portraits. 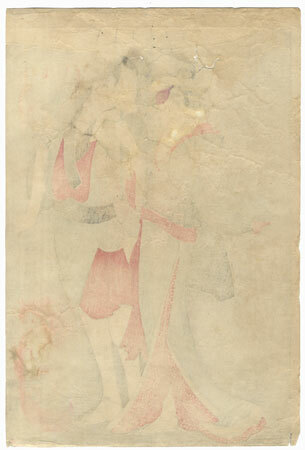 His career spanned only ten months from 1794 to 1795, with around 150 prints known. 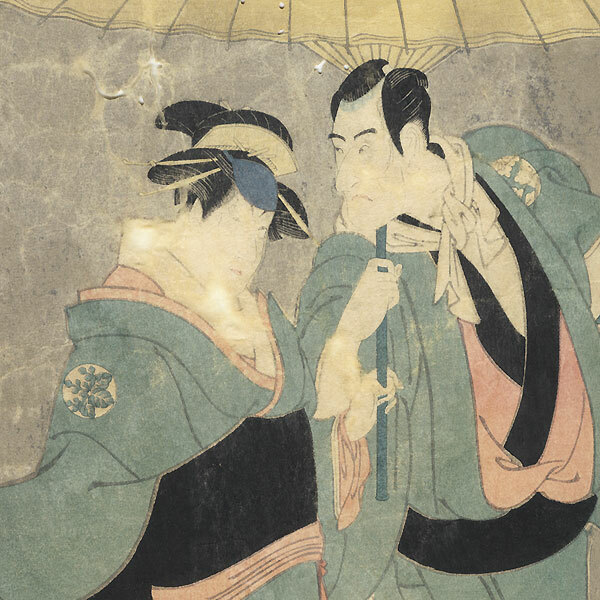 Unlike his contemporaries, Sharaku did not idealize his subjects, instead creating realistic portrayals that were not always flattering, and his prints were not a popular success at the time. His best works convey a rare perceptivity, with a psychological insight and a deep understanding of the dramatic nature of the roles and the actors he depicted. Sharaku left behind a body of masterworks of ukiyo-e kabuki portraiture that remained unrecognized until a century after his death. Condition - This print with nice color and detail as shown. Wrinkling and thinning at top. Please see photos for details.